The family house is, most likely, more than just a house for you and your family. It has been your home, it has been your refuge, and it has been your always-present retreat to peace in possible harsh times. The walls might have tick marks where you watched your children get taller, or maybe even that hole in the wall when you and your spouse had an accidental water fight in the kitchen. Whatever the case may be, it isn’t news that the family house has sentimental value for all of those involved. It’s best to remember when selling your home that it isn’t something that you’re going to have to forget about. You’re not leaving something behind, rather you’re further cushioning the plot to your own perfect story. Selling your home can seem daunting, but there are ways to make it a bit easier, such as selling during the summer. 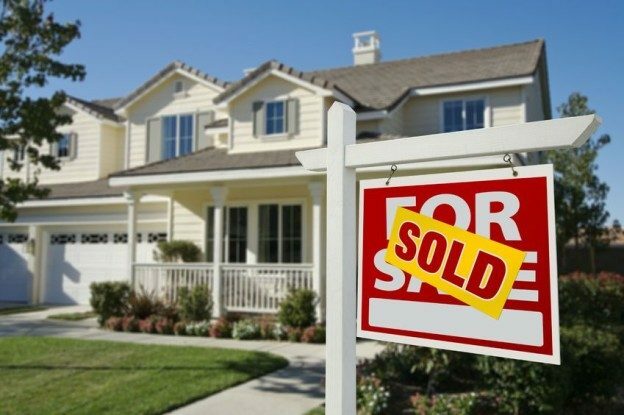 The most successful time for selling a house is in the summer. For starters, a lot of families start looking to move in the summer, so there are more options as to who can buy your home. The summer time is also a great time to walk through neighborhoods, attend open houses and spend time on properties. That same sentiment is what keeps homeowners motivated to move in the summertime – it’s not frigid cold, making it miserable to pick up and leave. Schools are a big factor for parents relocating. This is also why the summer is a good time to move, because the children that are students don’t have to leave in the middle of the year. In many cases, relocating during the school year can cause curriculum problems, depending on how far you are relocating. When choosing a school, it’s best to make sure it’s safe, since the time a child spends at school equals nearly a third of their week. Lastly, it is best to sell your house in the summer time because of the timeline. Many property owners get pressured towards the end of the year to sell more homes. When those houses aren’t selling, there is a feeling of being pushed against the proverbial wall and things need to change. At that time, the real estate owners and property managers are likely to start issuing out special after special to get more traffic through their doors. These include things like free upgrades and lower closing costs. By selling your house in the summer, you have a greater opportunity of beating out the big real estate owners and finding the right family ready to purchase your home. During the summer, also, bills are typically lower. There are no heat costs, thanks to a moderate temperature, and less money on gas is spent, as well. There is no need to pick up children from school because they are already home. Now that you’re ready to sell your home, there are a couple of new listings I’d love to show you. If you’re interested, give me a call at the number at the top of the page. This entry was posted in Blog, Uncategorized on August 10, 2016 by wp_admin.